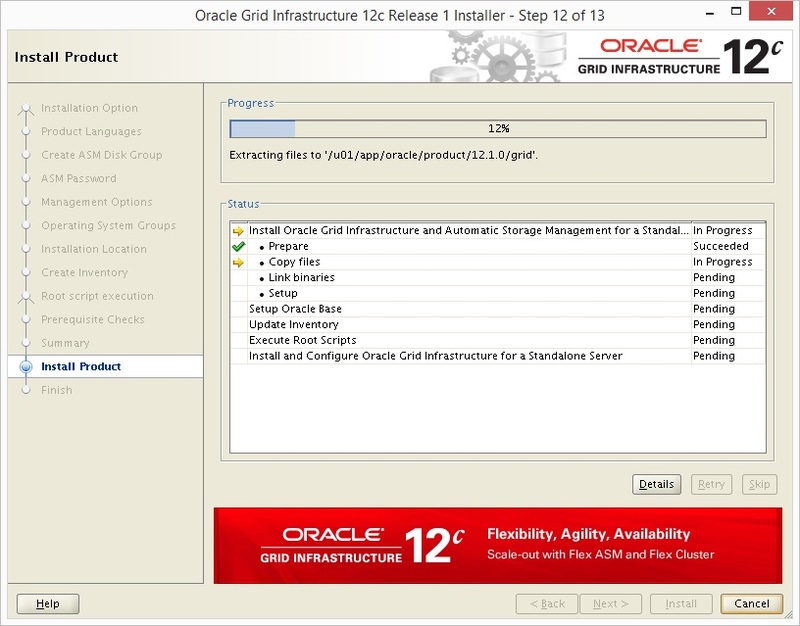 The following documentation provides instructions for building an Oracle 12c database with ASM residing on RedHat (Version 6.7, Kernel version 2.6.32). 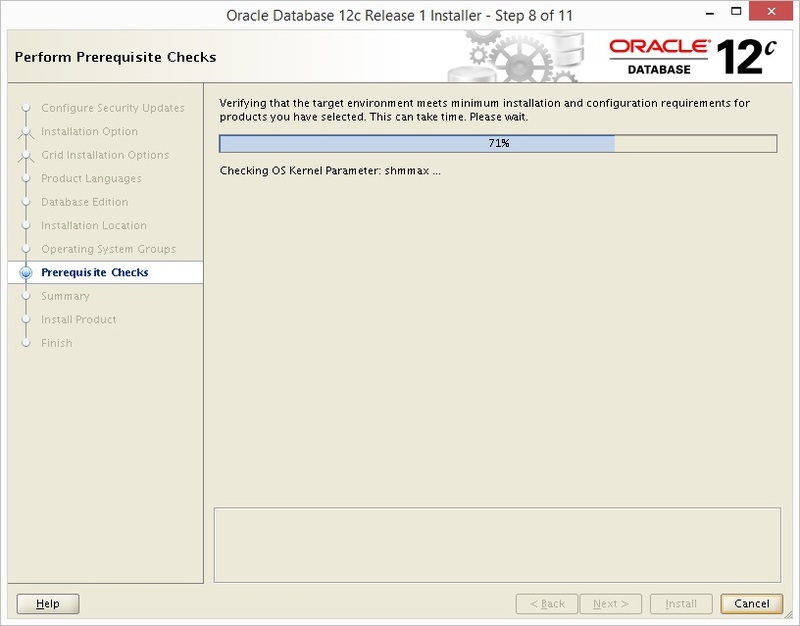 Use the command cat /etc/*release* to check the Oracle Linux OS version and uname -r to check the Kernel level. 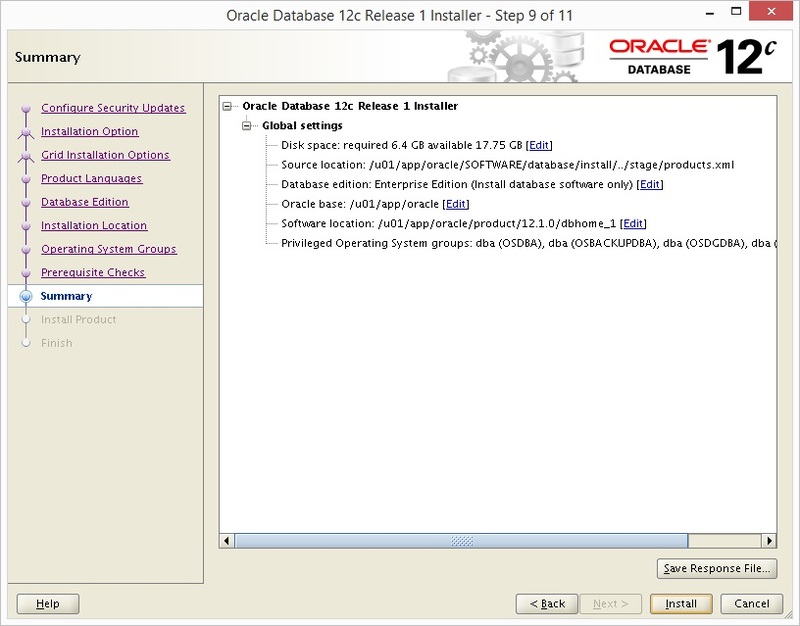 Further reference documentation about Oracle 12c and Oracle Linux is detailed in the Other References section below. 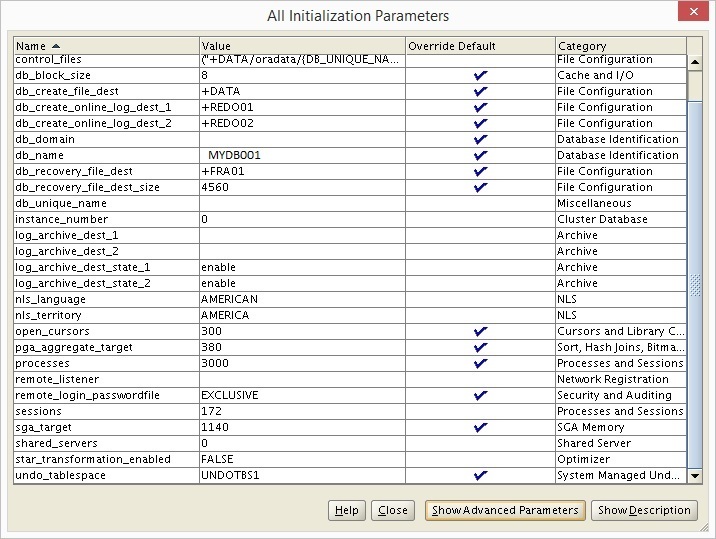 All references to SID should be replaced with correct database name as derived using a suitable database naming standard. 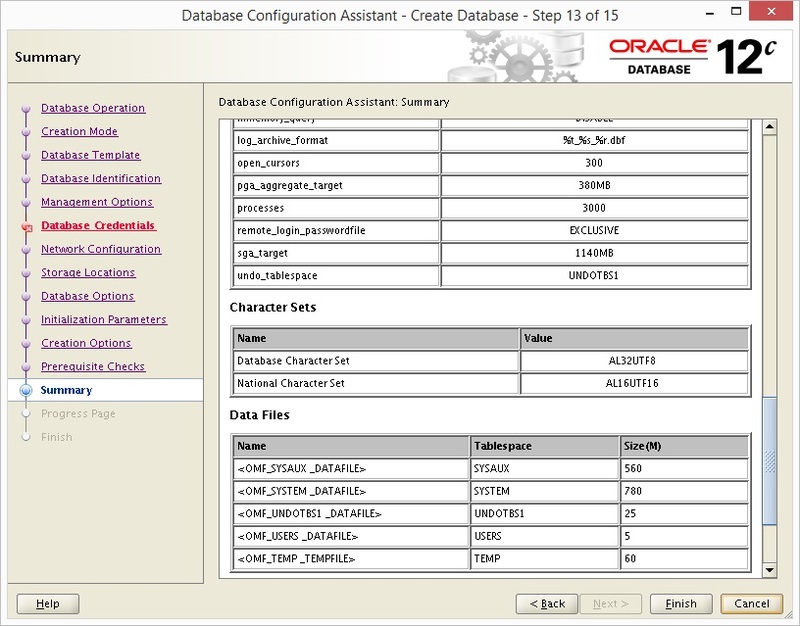 All $variable references assume the .profile as described in the File Listings section has been implemented and run. 1. 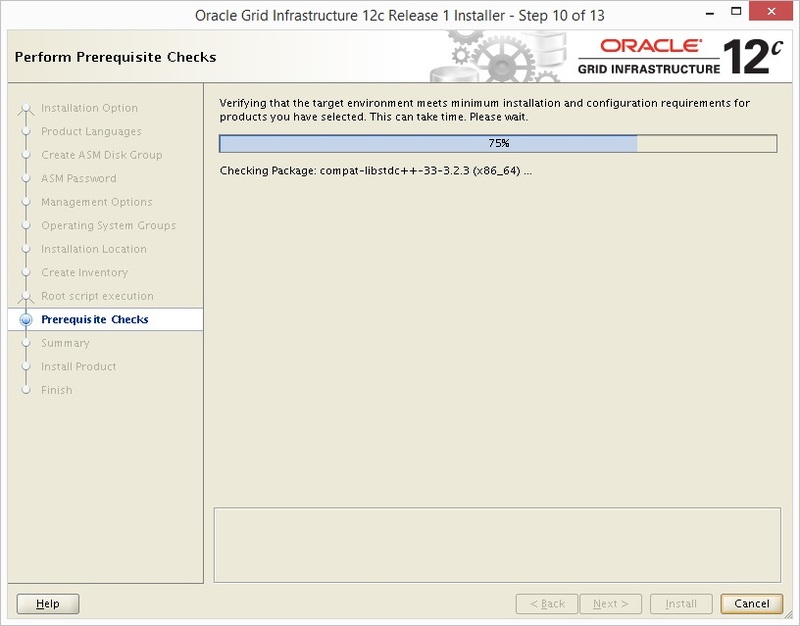 Ensure the Oracle Linux version is 6 or higher. 2. 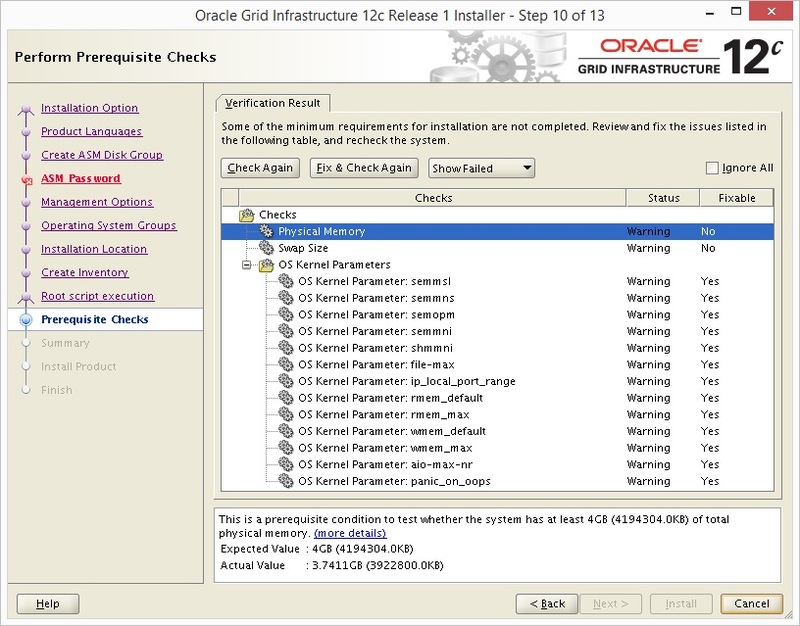 Ensure the Oracle Linux Kernel version for both nodes is 2.6.18 or higher. 3. 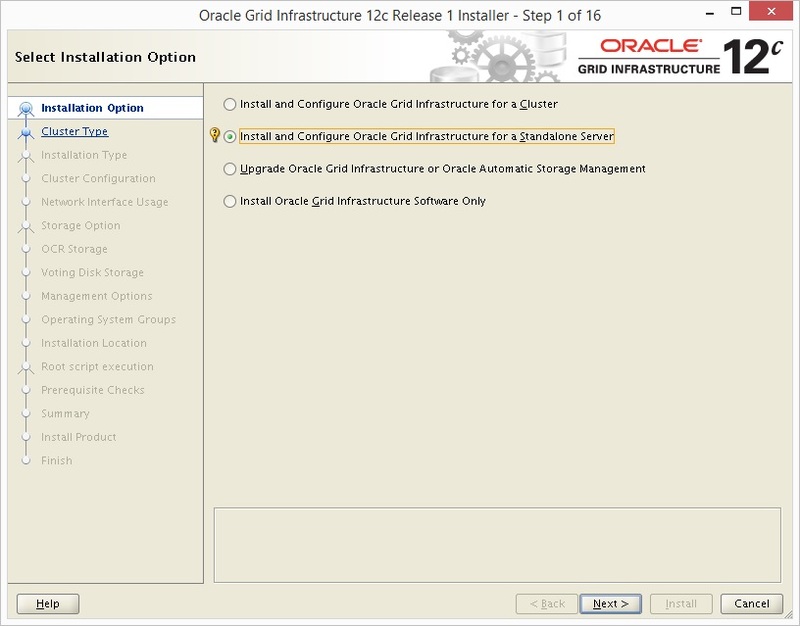 As a minimum ensure RedHat has the following packages installed on both nodes. 4. Set the kernel parameters in /etc/sysctl.conf for both nodes as follows. 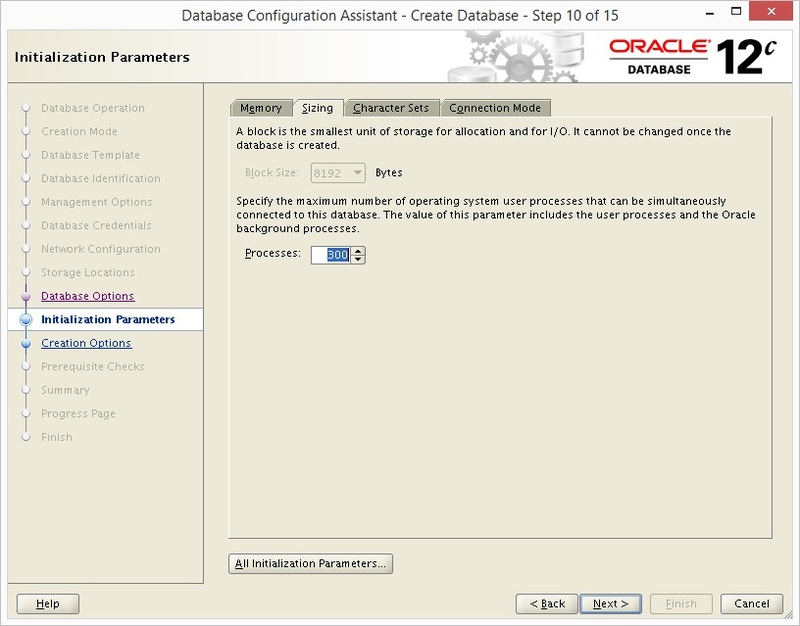 NOTE If the current value for any parameter is higher than the value listed below, do not change the value of that parameter. 5. 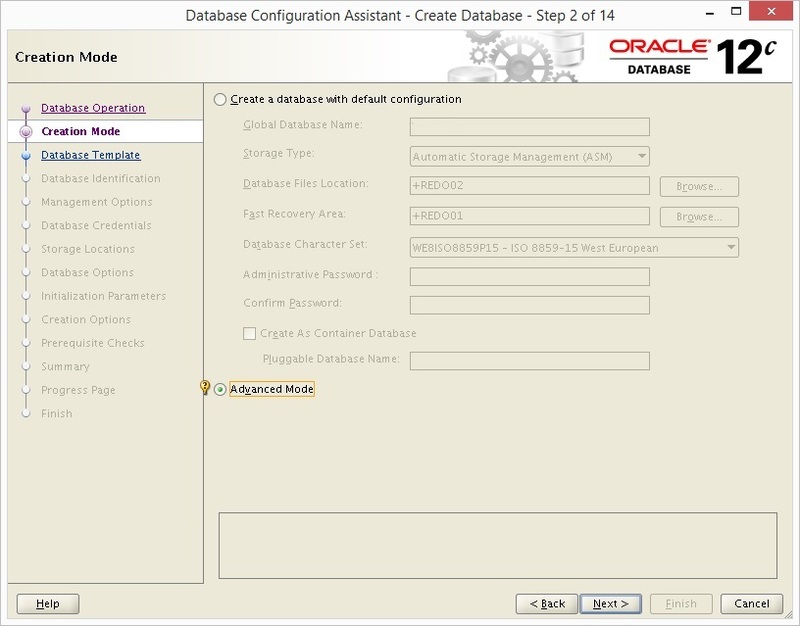 Ensure oracle account and dba group exists on both nodes. 6. Update the following file /etc/security/limits.conf on both nodes. 7. Ensure the following line in the /etc/pam.d/login file existis on both nodes. 8. Create the .profile - see File Listings section below. 10. 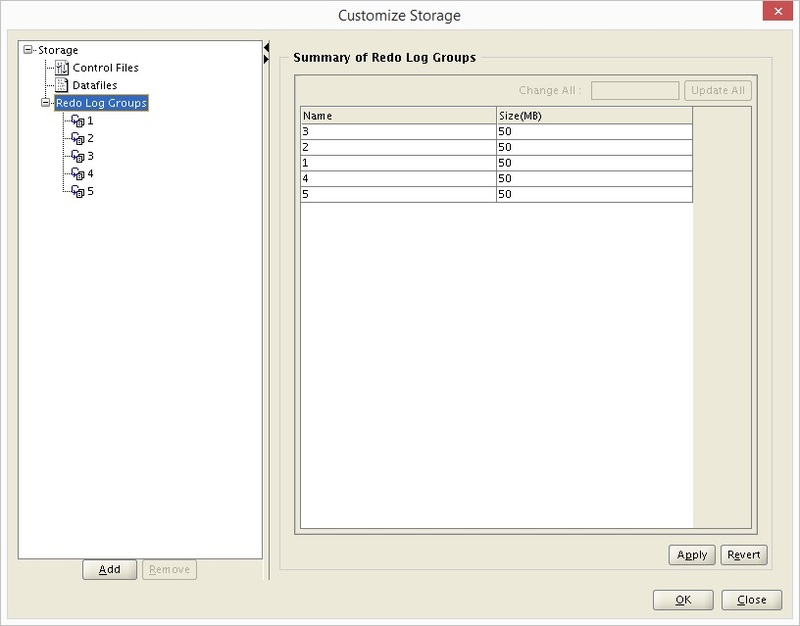 Create a single partition on each device to be used by ASM. 11. 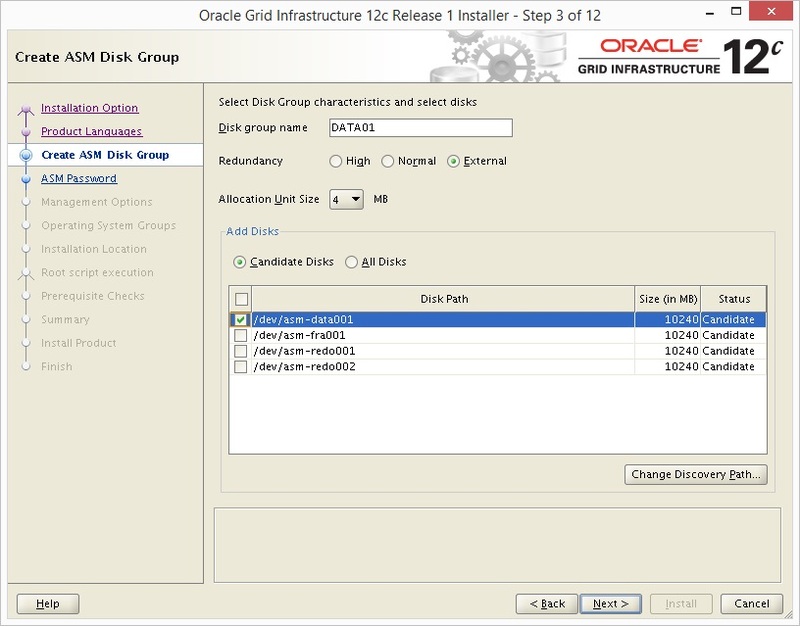 Create the ASM disks. For this installation the following disks will need to be created. 1. Log on to Oracle. 4. 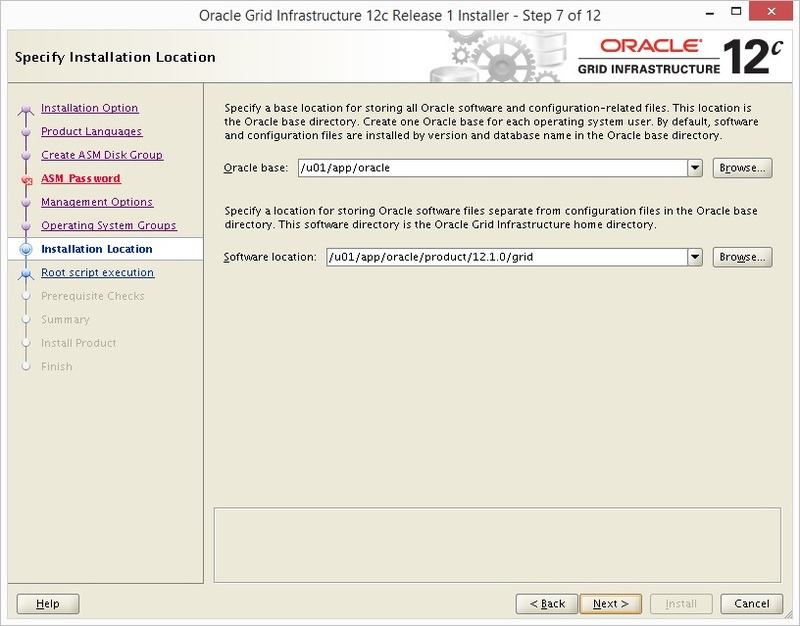 Follow the instructions as detailed in the screenshots here and when prompted run root.sh. 5. 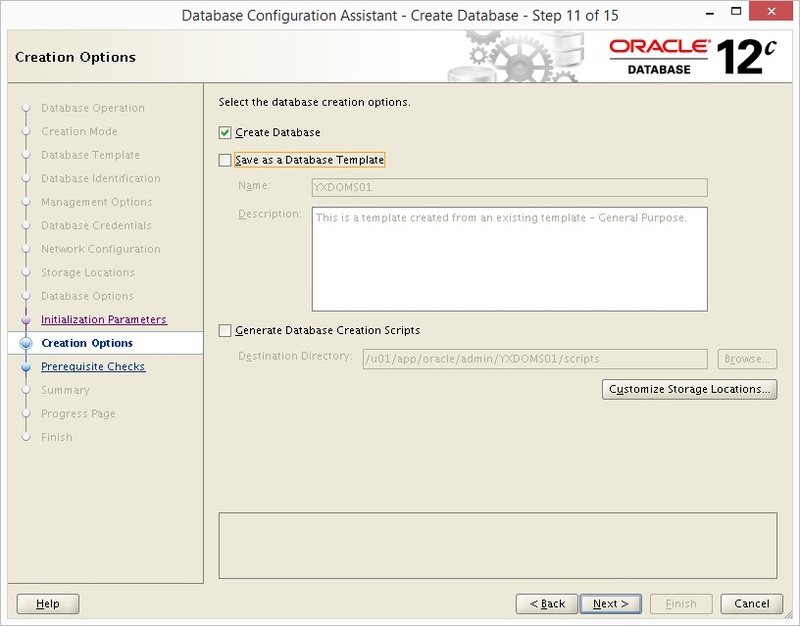 Create a symbolic link for TNS directory entries to stop dbca from failing on DB creation and on crsct startup. 3. 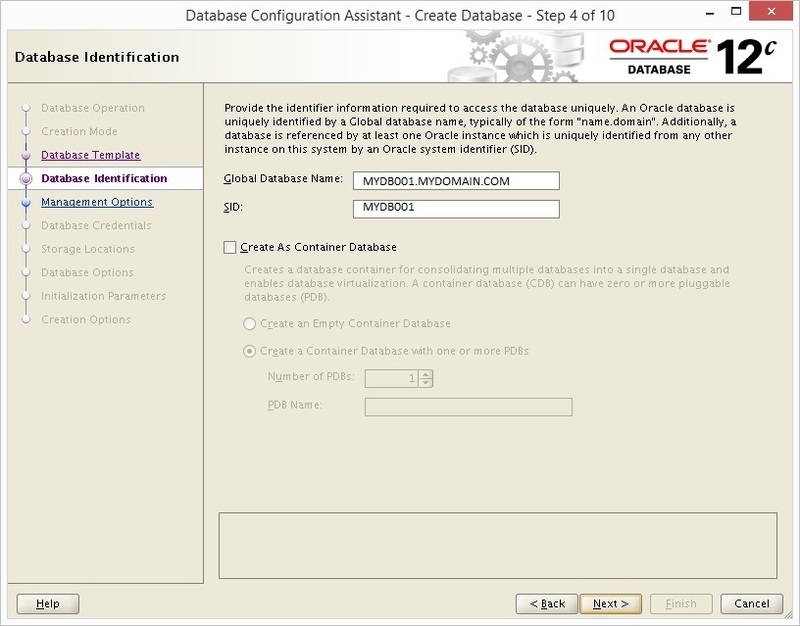 Implement DCD on the databases. 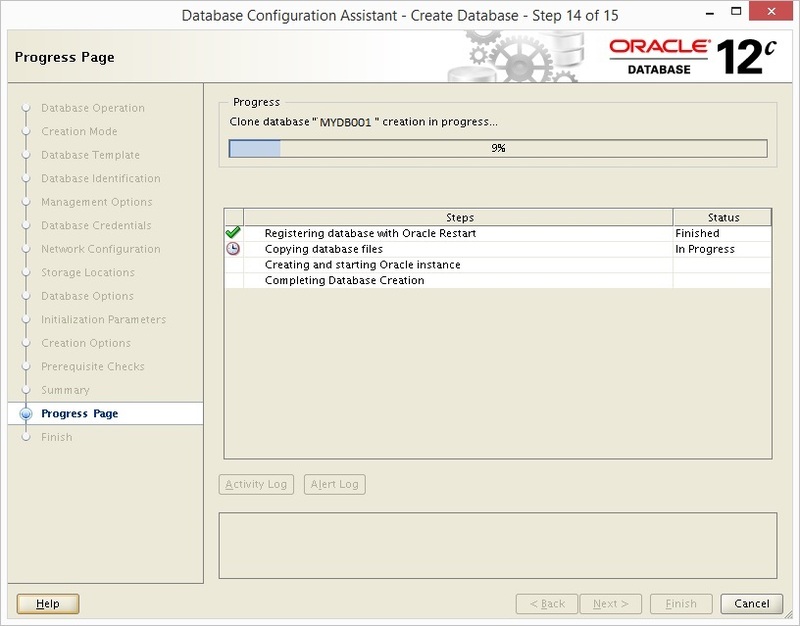 Add the following line to the sqlnet.ora file. 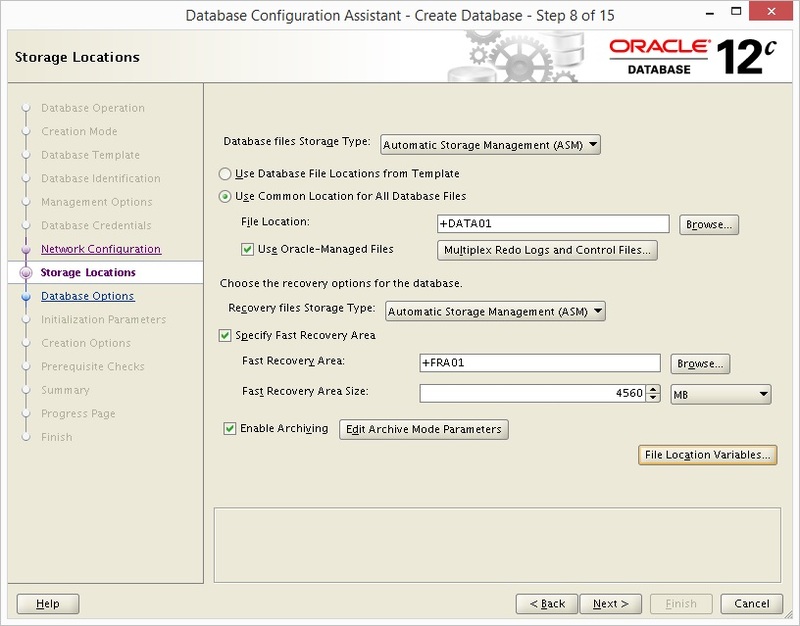 The following steps should be performed once the database has been built to ensure that the environment conforms to Oracle's Best Practices and also ensures that it doesn't fall foul of Internal Audit. 1. Remove the GRANT EXECUTE TO PUBLIC privilege from potentially harmful packages. 3. Adjust the database DEFAULT TABLESPACE settings so that the SYSTEM tablespace is not used inappropriately. 5. Lock and expire potentially harmful built-in user-ids. Repeat for each user as required. 2. 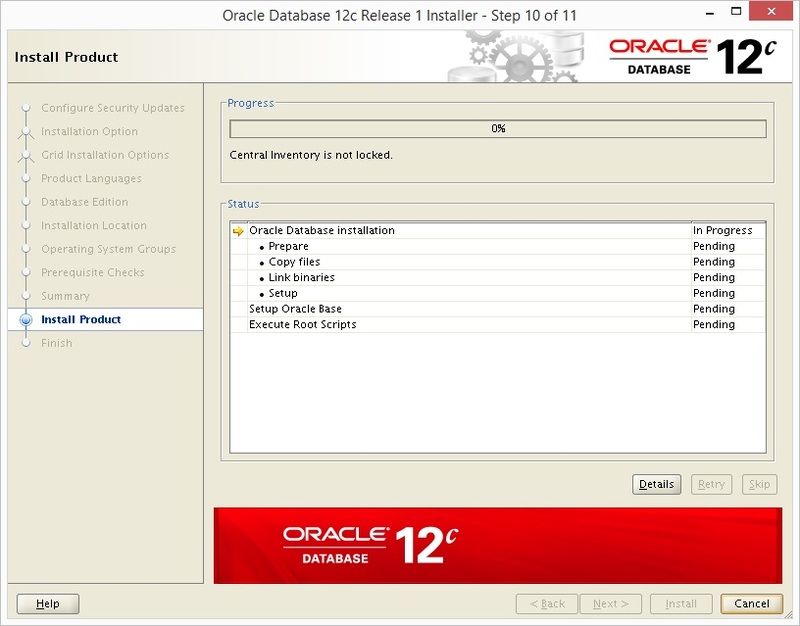 Remove all database files, binaries, trace files and administration logs using the deinstall tool - see Deinstall Section below. 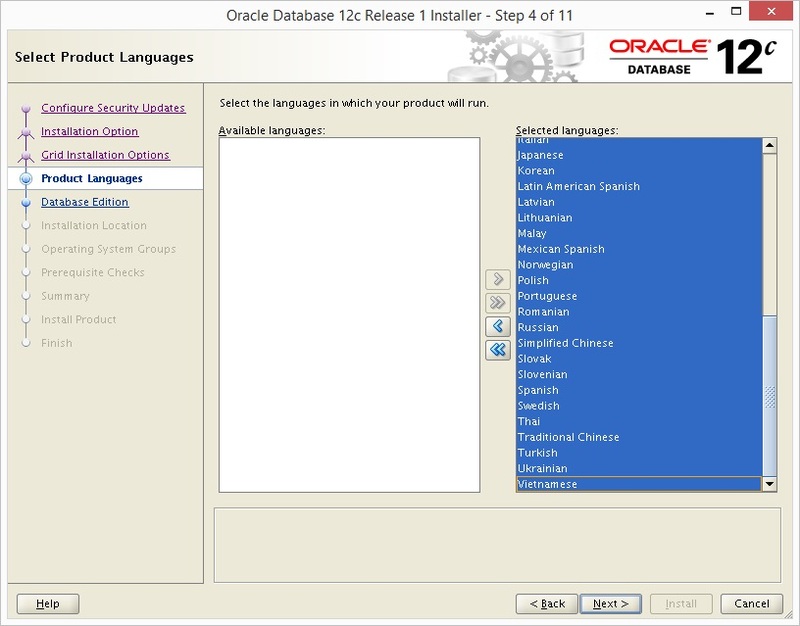 Select the languages you require. 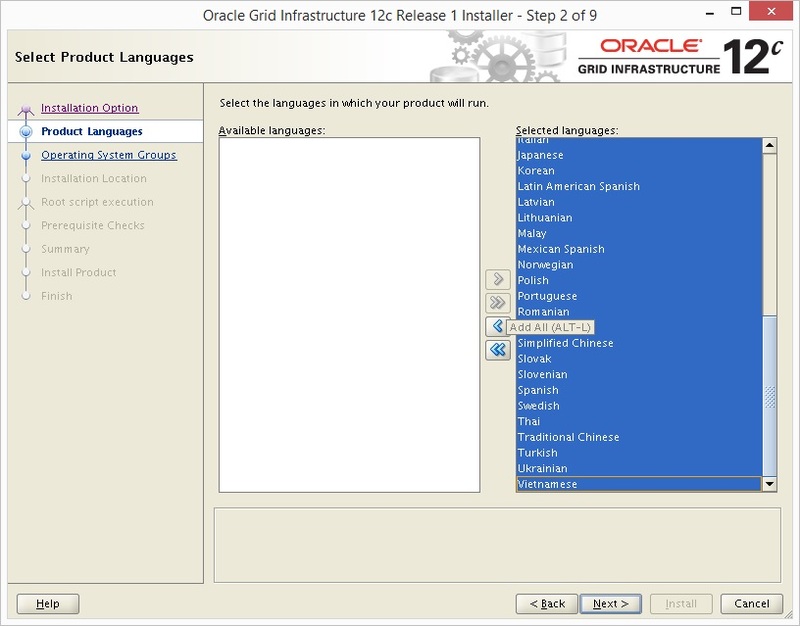 In this instance all languages have been chosen. 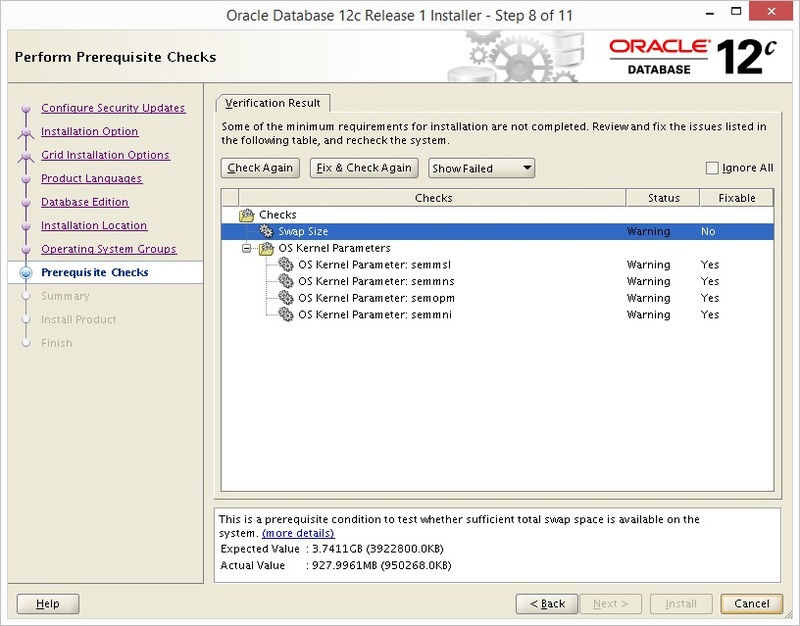 Ensure the radial button Candidate Disks is selected. 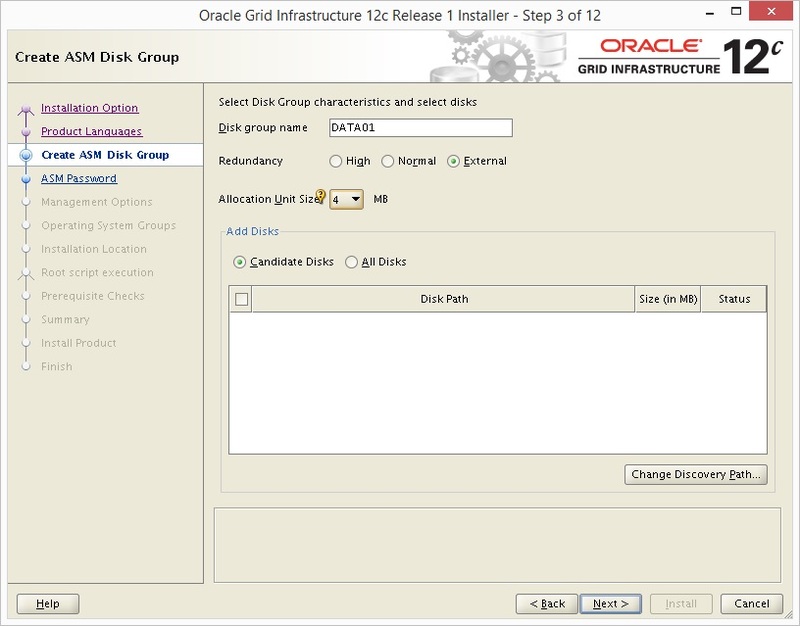 Select the disks you want added to disk group DATA01 by ticking the box. The passwords can be changed to something more suitable later. For this installation no Grid Agent is going to be configured. 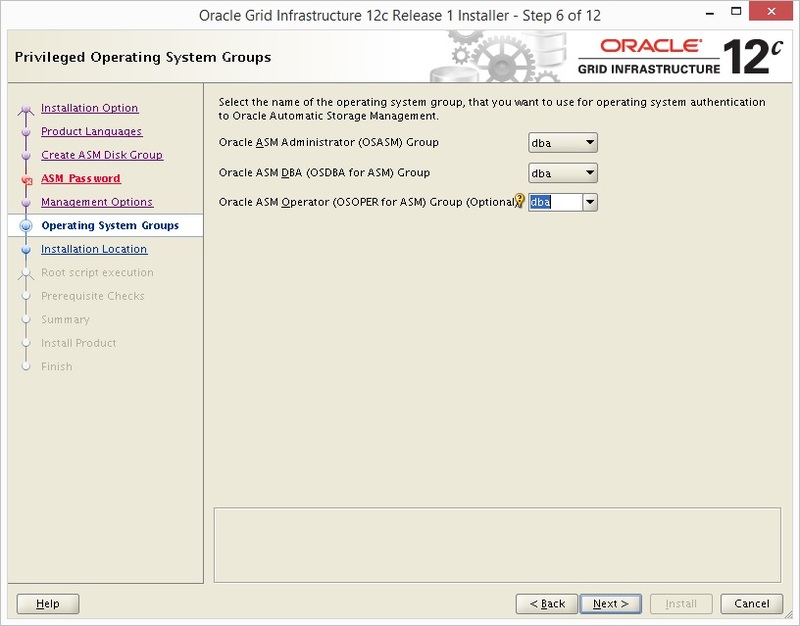 In this installation the same OS group is going to be used. This may not be suitable for all environments. The fields should already be populated with the above values. They can be changed, but it is recommended to keep the defaults. The field should already be populated with the value above. 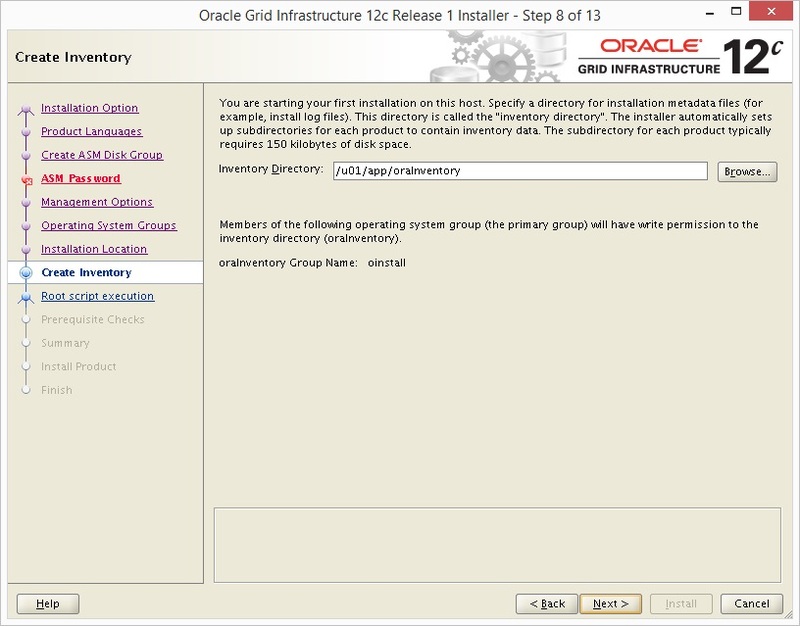 The Inventory Directory can be changed, but it is recommended to keep the defaults. 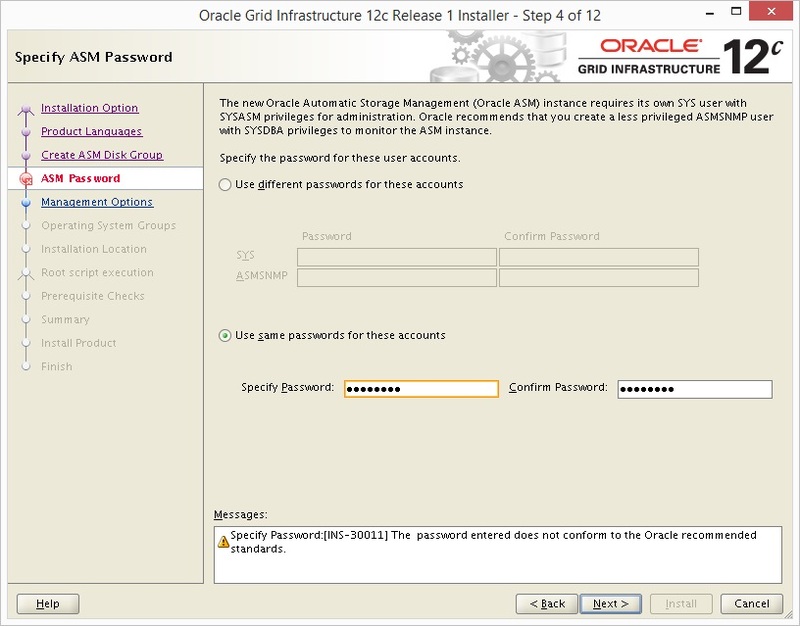 In this environment the root password is known, so configuration scripts will be run automatically. Wait for the verification process to complete. This screen will move on automatically. 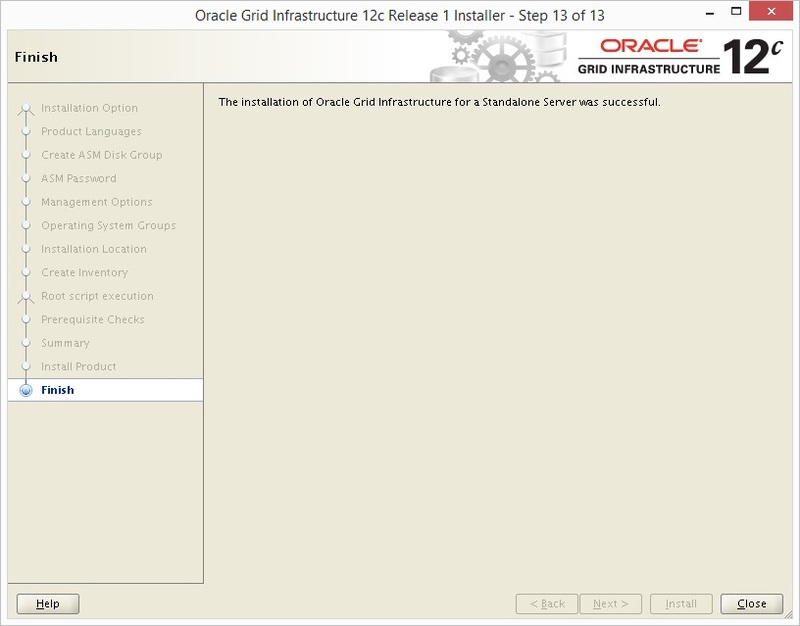 For demonstration purposes, this installation has some issues. The Fix & Check Again button can be used to fix any issues. Click Check Again when all issues have been resolved. 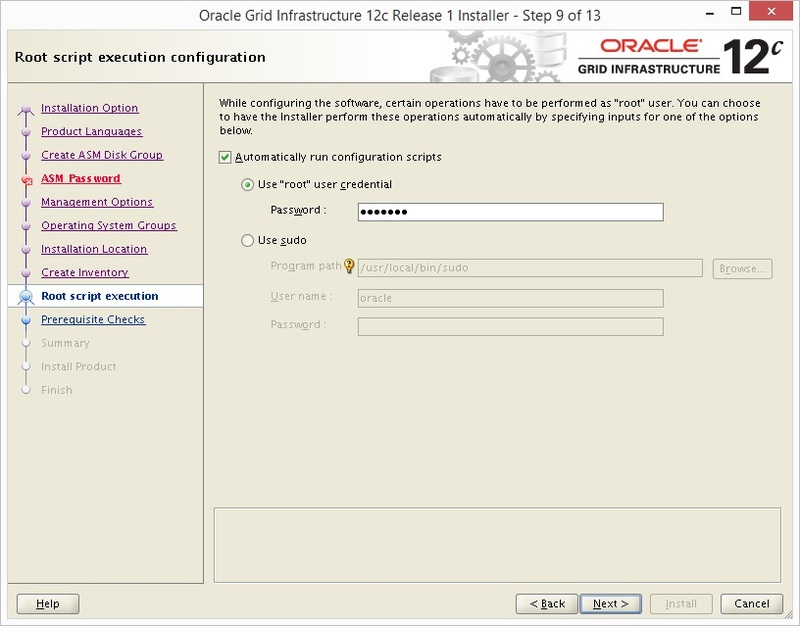 A response file can be used for automated deployments. 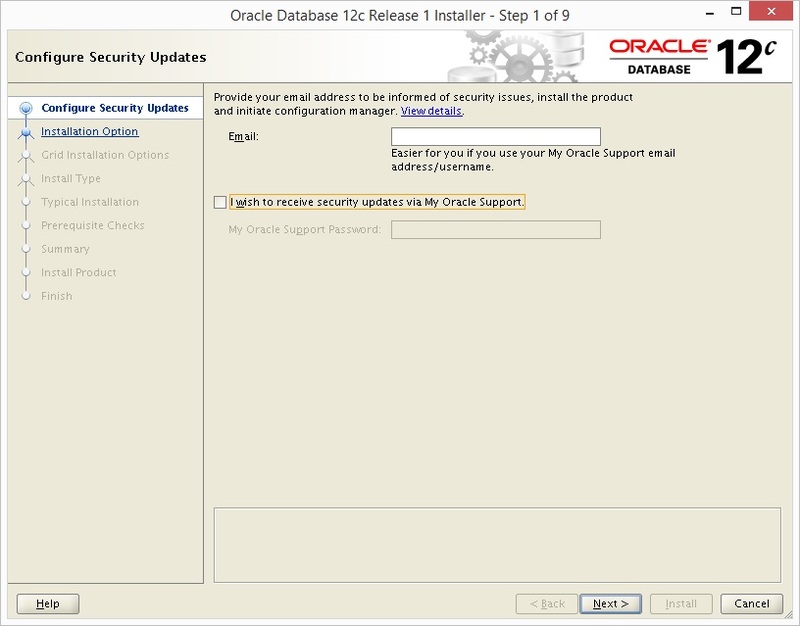 Un-tick the I wish to receive security updates via My Oracle Support box. NB This is site specific and should be reviewed. Click Yes to remain uninformed. Ensure Single instance database installation is selected. In this installation different OS groups will be used. Optional groups will be left blank. This may not be suitable for all environments. 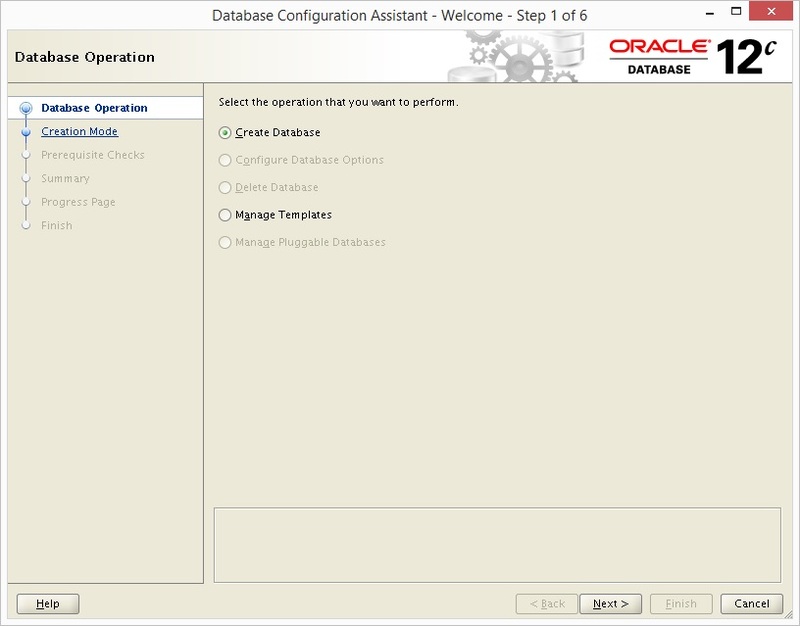 Leave Database Operator (OSOPER) Group (Optional) blank. This screen moves on automatically when complete. Get a UNIX administrator to run the Configuration Scripts as the root user. 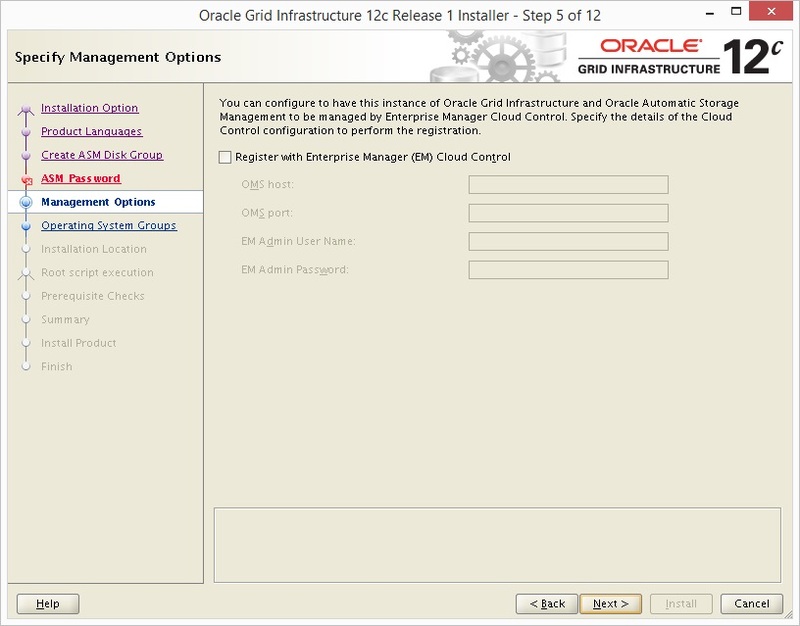 Click OK when the Configuration Scripts have completed successfully. Select General Purpose or Transaction Processing. 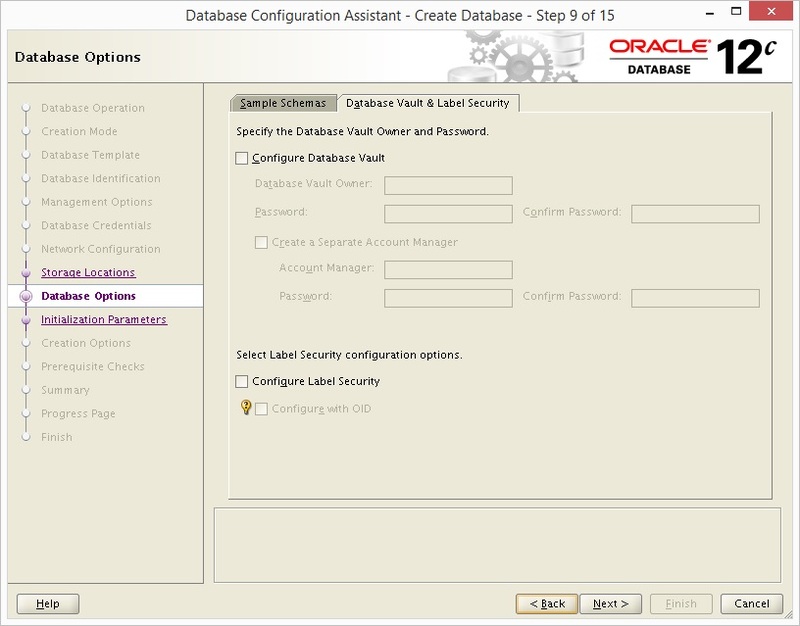 Set and confirm the passwords for the SYS and SYSTEM user. 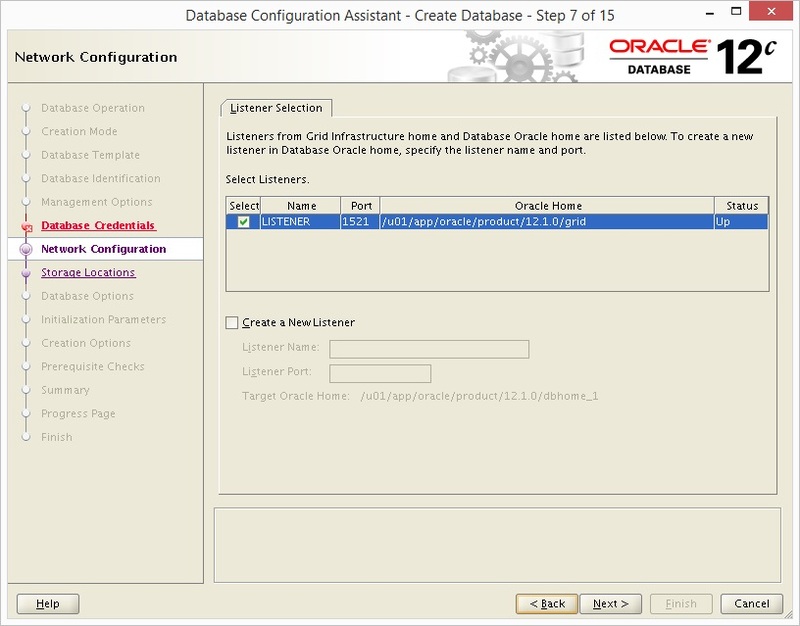 For this database, the GRID listener will be used. This may not be suitable for all environments. 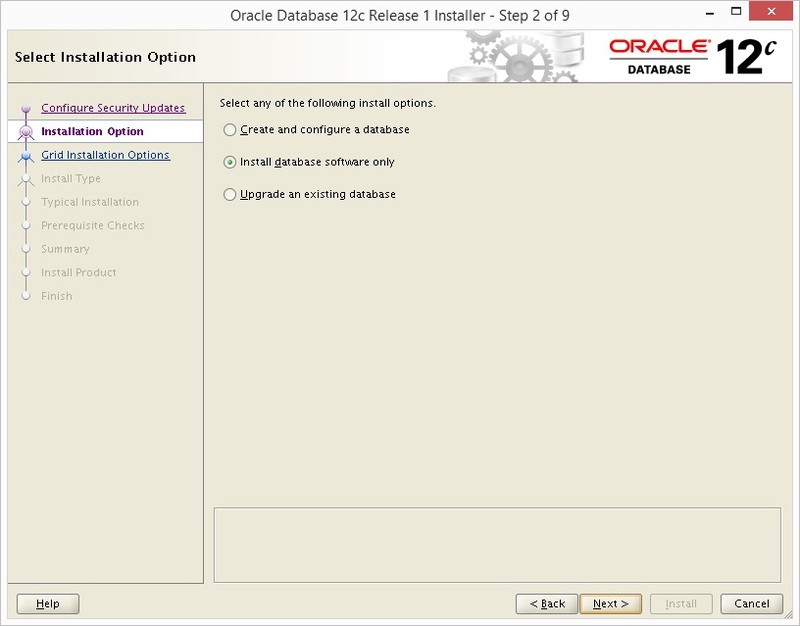 In this installation Sample Schemas and Database Vault & Label Security will be left as default. 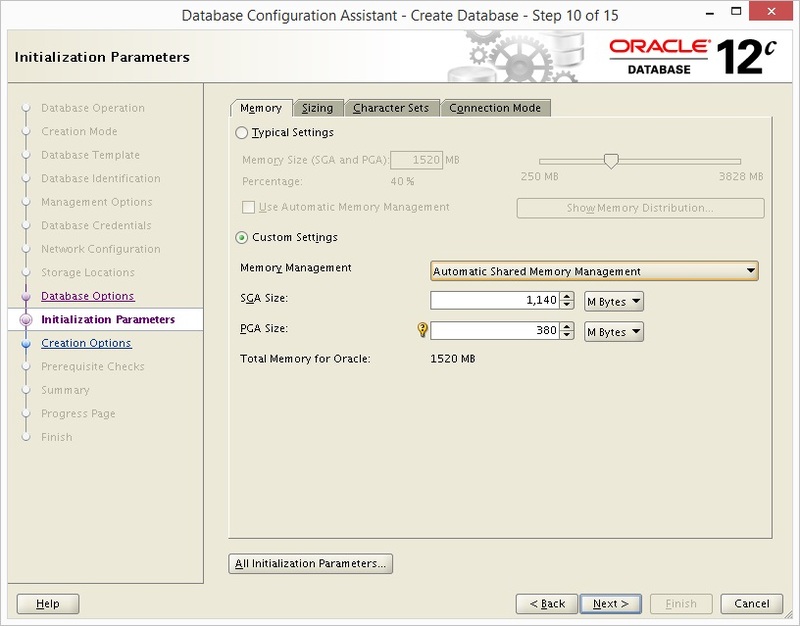 For this installation Automatic Shared Memory Management will be used. Set SGA Size and PGA Size to suitable values. Set the Processes value to a suitable number for the environment. Click the Character Sets tab. These settings are dependent on the environment being built. Select Use Unicode (AL32UTF8) - Most systems would use this value. 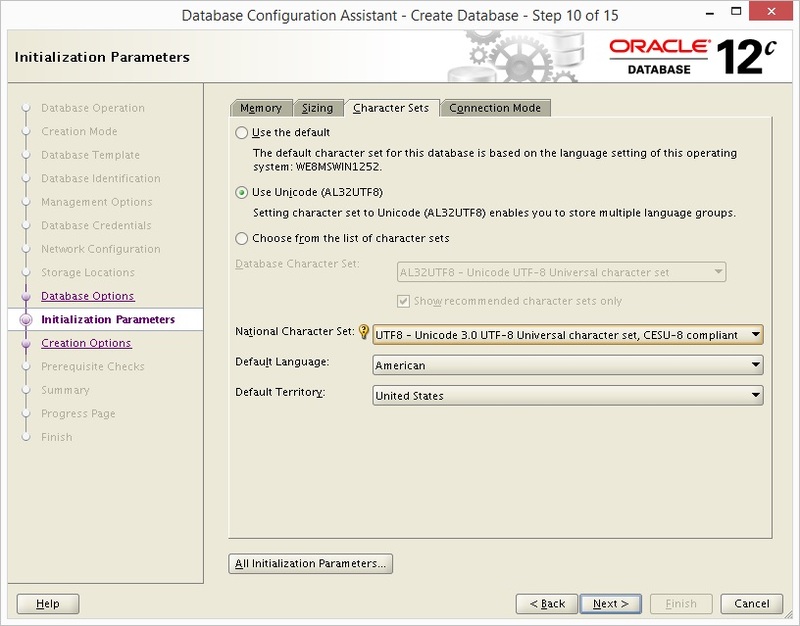 Set National Character Set to UTF8 - Unicode 3.0 UTF-8 Universal character set, CESU-8 compliant - Most systems would use this value. Click the Connection Mode tab. 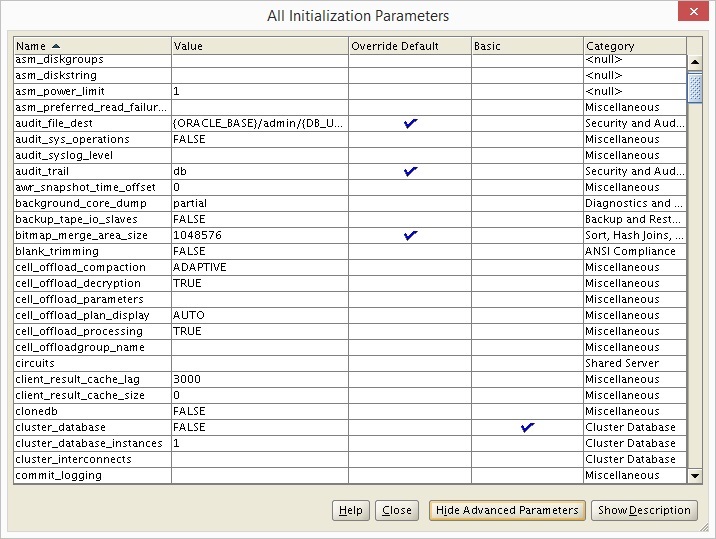 Set the Initialization Parameters appropriately. 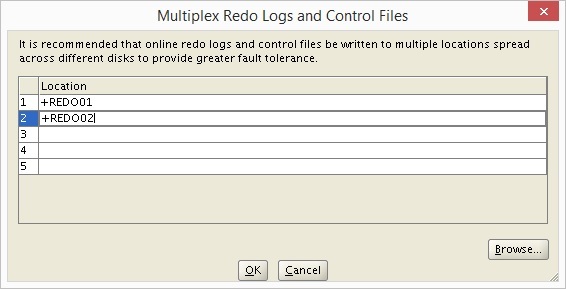 Add additional REDO logs if required. 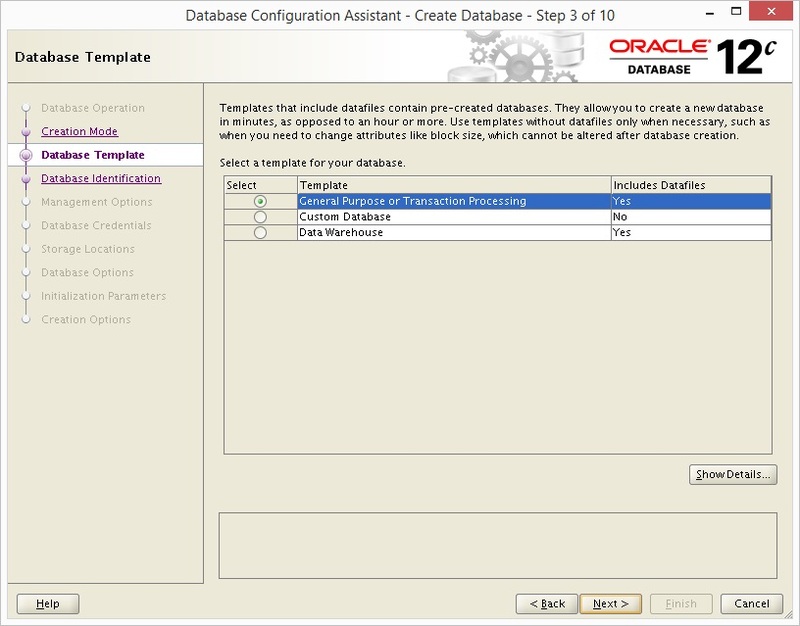 Set a Name for the Database Template if the Save as Database Template box has been ticked. 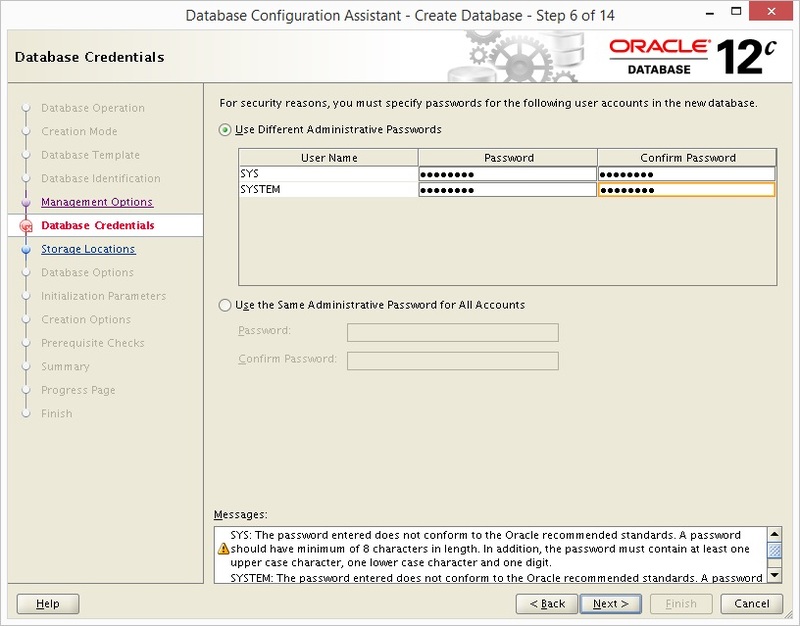 Set-up the passwords by clicking on Password Management if required. 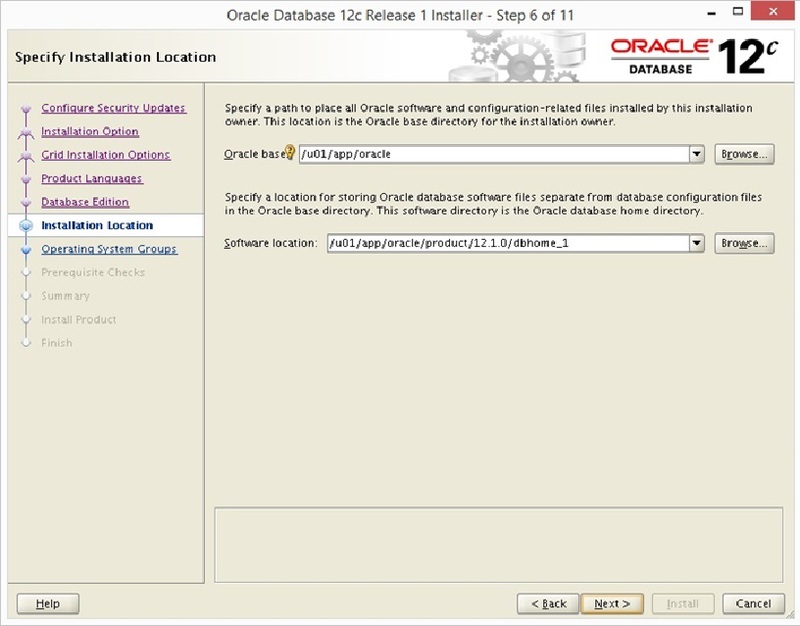 With 12.1 the deinstallation tool is located in the Oracle home directory after installation. 1. 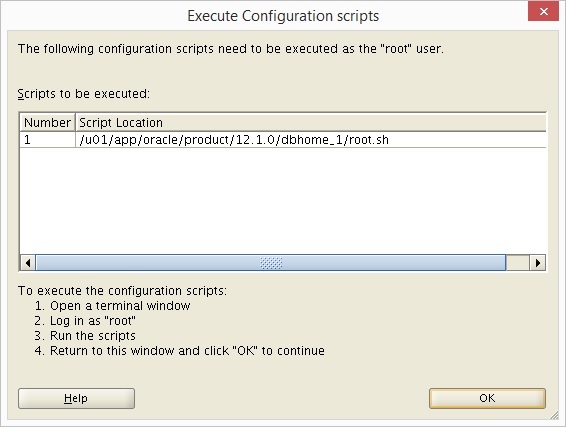 Run this tool from ORACLE_HOME first. 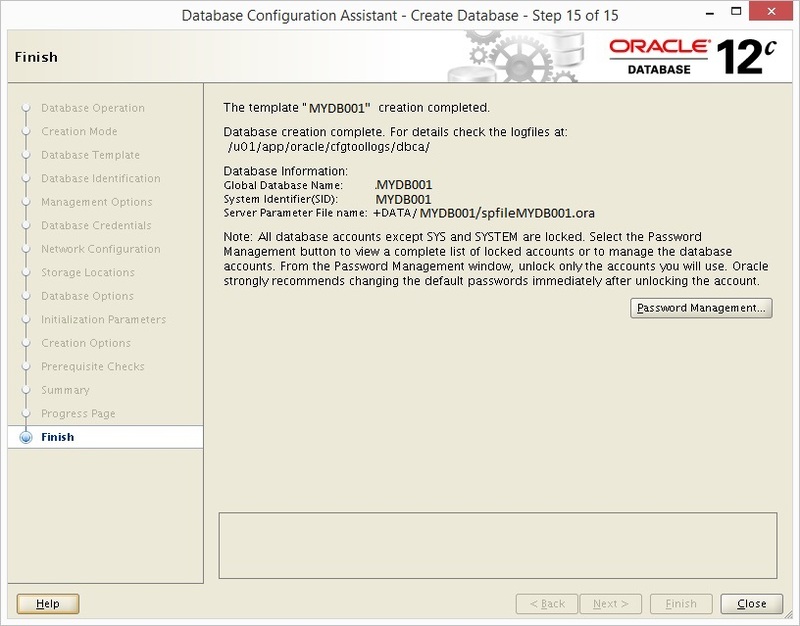 When prompted for the database name enter the SID you want to remove. 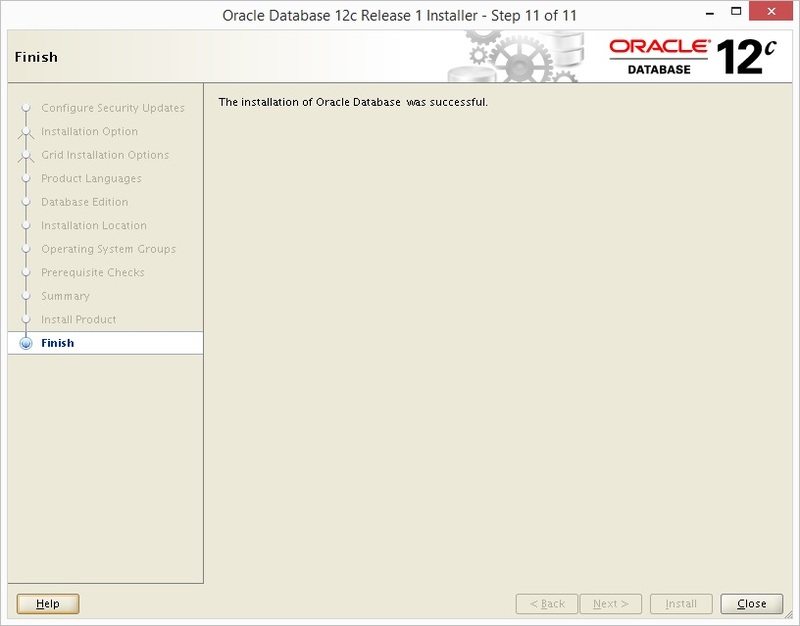 NB This will remove the database binaries too. 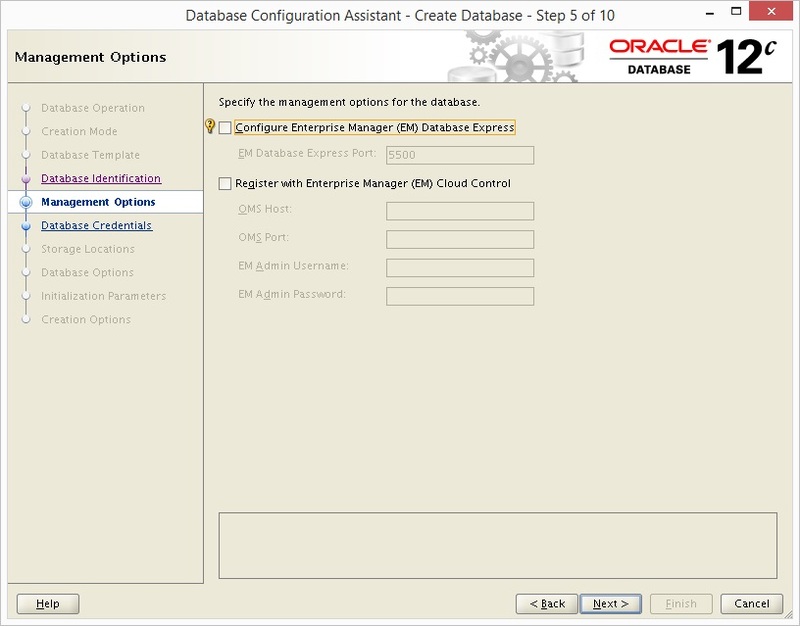 NB You would answer Y if you wanted to amend the database configuration. The tool should now complete okay after performing several tasks. 2. Now run the tool from the GRID_HOME.